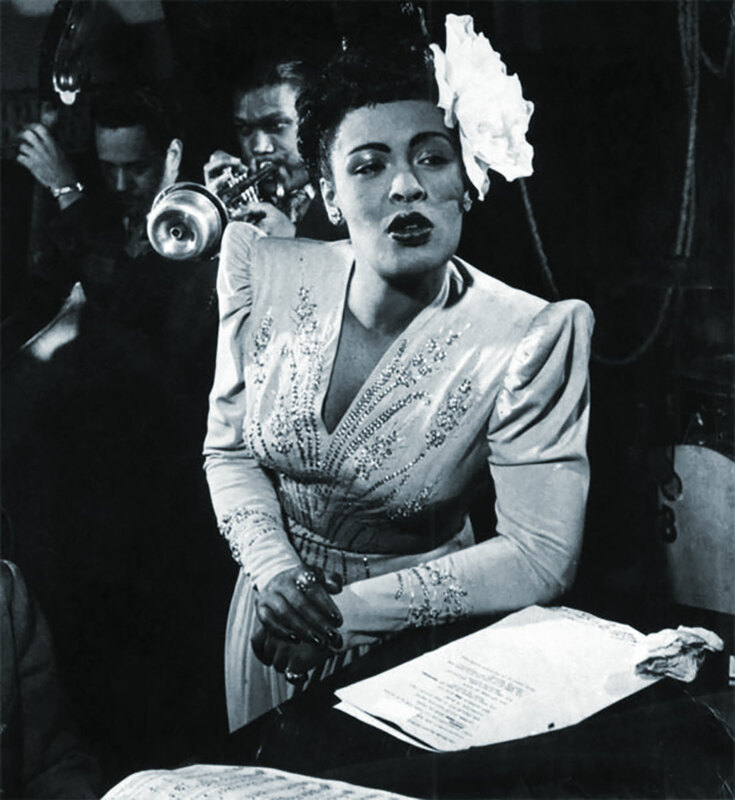 During the 1940s Billie Holiday (Eleanora Fagan, 1915-1959) emerged as a fully formed artist, her voice at its richest and most expressive. She imparted unprecedented emotional depth to ballads, blues, torch songs and her own striking originals. 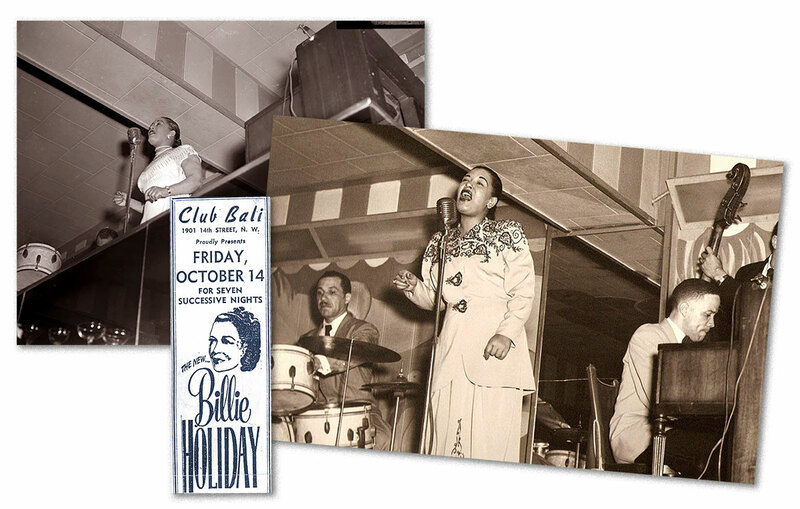 Club Bali, Washington DC, 1949. 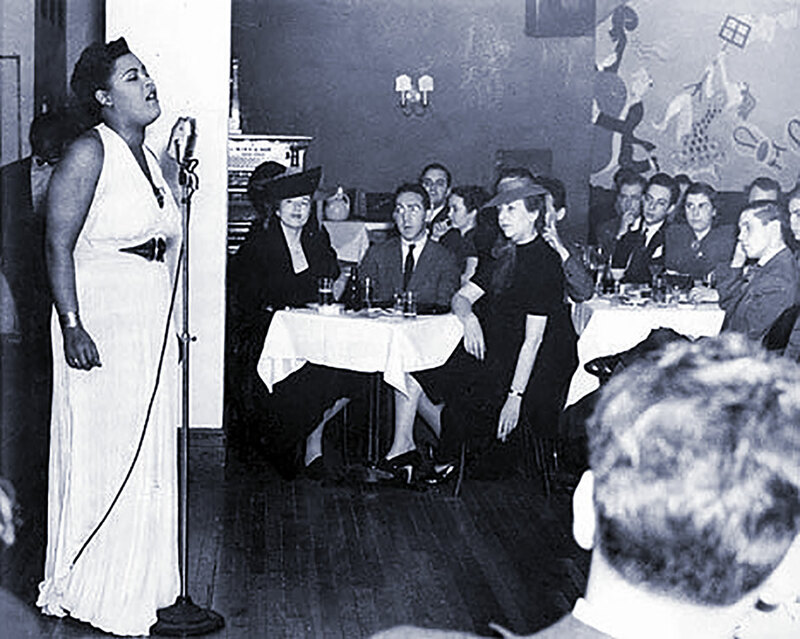 In her singing style and choice of songs during the 1940s. Holiday turned decisively from ephemeral Tin Pan Alley tunes or popular moon-June-spoon ballads to deeper statements, larger topics and broader emotional landscapes. Her original song, “God Bless the Child” (1941) remains a durable American classic. Suicide was addressed frankly in “Gloomy Sunday” (1942) and “Don’t Explain” (1947) regards infidelity. “Strange Fruit” (1939) directly confronted the horror of lynching. Billie at Café Society, New York City. By the early 1940s Billie was often choosing controversial subject matter. The song “Strange Fruit” passionately protested lynching in the southern United States. It became her signature and cause celebre. She identified deeply with its bitter cry against the same racism, exploitation and violence she confronted all her life. Much has been written and said about it, most definitively by David Margolick in the book, Strange Fruit: The Biography Of A Song (Ecco Press, 2001). Margolick explains that it was NOT written by Billie as she claimed but by political activist Abel Meerpole (1903-1986). Though Holiday made it famous and memorable, Meerpole was largely forgotten. 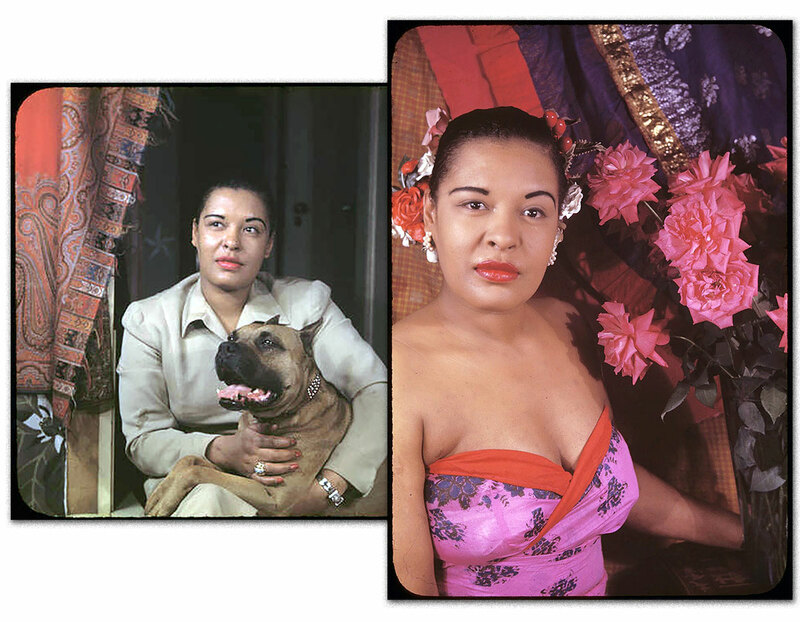 Billie, and her dog Mister, photographed in 1949 by Carl van Vechten – who was a New York City writer and photographer crucial to the Harlem Renaissance. “Strange Fruit” is a genuine political protest song that remains one of the most powerful artistic salvos on behalf of the black civil rights movement in any medium. It forcefully confronted northern white audiences with the unspeakable brutality of southern lynching. Presenting it nightly at Cafe Society in New York City 1939, she usually shed tears. It became a heart-rending nightly ritual, singing a lyric that might be seen as a metaphor for her own story, tenuously clinging to the limbs of life. Putting “Strange Fruit” on disc was a challenge. Columbia Records refused to let Holiday record the controversial song. she had to sign with the independent Commodore label in order to put it out. A significant watershed, it marked her emergence as an independent artist and Diva, becoming one of her best-selling records.